As you know, I'm a big ape fan. I'm also a big fan of apes. (There's a bigfoot-related joke in there.) When I saw this news item come across my desk, it definitely caught my eye. This is especially significant in light of the endangered status of the crested gibbons of southeast Asia. What a cool world we live in! Enjoy the article. Discovering a species unknown to science is a highlight of any biologist's career, but imagine discovering a new ape? Researchers with the German Primate Center (DPZ) announced today the discovery of a new species of ape in the gibbon family, dubbed the northern buffed-cheeked gibbon (Nomascus annamensis), according to the AFP. The new species was discovered in rainforests between the borders of Vietnam, Laos, and Cambodia: an area that contains a number of gibbon species. The new species had been thought by past researchers to be the yellow-cheeked gibbons (Nomascus gabriellae), however analysis of the animals’ DNA and distinct calls convinced researchers that although the species looks almost exactly like yellow-cheeked gibbons, they were in fact a wholly different gibbon. Both of the gibbons belong to the family of 'crested gibbons', one of the most imperiled groups of mammals in the world. Yellow-cheeked gibbons are currently classified as Endangered by the IUCN Red List due to habitat loss, hunting, and the pet trade. Other crested gibbon species are down to less than 200 individuals. "The crested gibbons are the most threatened group of primates and all species require urgent attention to save them from extinction", Thomas Geissmann, gibbon expert from Zurich University and adviser with Fauna & Flora International (FFI), recently said. It's likely this new species—the northern buffed-cheeked gibbon—is also facing extinction, yet more research needs to be conducted. Many of the crested gibbons have been under-researched to date and scientists are still uncertain of some species' range and population making conservation efforts difficult. Gibbons have long been overlooked by researchers and conservationists compared to their more popular ape relatives. Scientists have dubbed gibbons the 'lesser apes' since they share some behavioral and physical characteristics with monkeys, but, like all apes—gorillas, chimpanzees, orangutans, and humans—they possess no tail. Gibbons are known for their high-flying rapid-swinging antics among their lives in trees and their booming unmistakable songs. They are the world's fastest arboreal mammal without the power of flight. New species of animals like this Gibbon, that are discovered were there all along, they are just elusive. That makes Bigfoot's case look a lot better..because if these Gibbons and other suddenly discovered creatures just now spontaneously came to be, then Bigfoot probably is not actually Bigfoot, but some version of a Gorilla. That kind of bursts the bubble doesn't it? 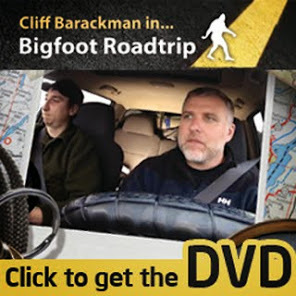 I like thinking Bigfoot is his own species. Makes them seem more special.